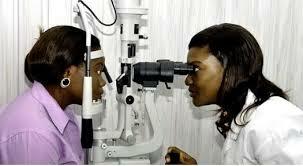 A Consultant Ophthalmologist, Dr Festus Osoba, on Sunday urged Nigerians to ensure regular check of their eyes with the right professional to prevent late presentation of glaucoma disease. World Glaucoma Week is a joint initiative between the World Glaucoma Association and the World Glaucoma Patients Association and it had recorded a highly successful run for the past 10 years. The week held from March 10 to March 16 across the globe was to create awareness on the dangers of glaucoma disease. “More awareness of the public on glaucoma will encourage people, especially those above 40 years old to get their eyes screened for early detection,” he said. Osoba said that people do not need to be sick before going for regular checkup. “Most of the patients only come to the hospital for late presentation when they can barely see, which means 80 percent of the vision is lost. glaucoma will develop in the eye. “Blindness can also be prevented, if there is early detection of glaucoma through proper screening and regular eye examination. “Glaucoma week is to create awareness to the public about this disease called glaucoma, because it is a serious disease and silent thief of vision. Its progression can be halted by effective and consistent treatment,” Osoba said. He said Nglaucoma does not give specific symptoms, adding that was why we encourage people who are above the age of 40 to go for regular screening within the period of one year. He urged individuals and philanthropists to support and partner with the governments by being part of the success story of glaucoma. “It will really help to discover and identify more people living with glaucoma, especially those that cannot afford the treatment. “Glaucoma has no cure, but the treatment of the disease is for life, which means many people need to be assisted for regular checkup and treatment of glaucoma,” Osoba added.